On Thursday 24 May 2018, viewers of Channel 4 Evening News—wittingly or unwittingly—witnessed a watershed moment in British Intelligence history: The first televised recruitment advertisement from the Secret Intelligence Service (SIS), more famously known as MI6. Although the service has been openly advertising on its website for over twelve years, never has it chosen to advertise in the public sphere so visibly. It is unknown territory for an organisation that was only officially acknowledged by the UK Government in 1994. So what motive does SIS have for recruiting so publicly? And will its actions have the desired effect? The following will demonstrate that the organisation’s motivations are both principled and pragmatic, and the consequences of such actions will not only have a progressive effect on its public image, but strengthen the service’s capacity to combat foreign threats. SIS is growing rapidly and aiming to meet the ever-increasing demands for counter-terrorist intelligence and support to UK military forces overseas, whilst maintaining global coverage of other key foreign policy and defence requirements. In 2016, the service had a workforce numbered at around 2,500 but is looking to take on an extra 800 people by 2021. As such, it seems that Alex Younger—the chief of the service (often referred to as ‘C’)—is looking to use the opportunity to recruit a more diverse workforce. The advertisement makes the point clear enough. After focusing in on a sinister-looking shark tank, the scene widens to show an ethnic minority mother comforting her child in an aquarium. The advertisement finishes with the tagline: “MI6—secretly, we are just like you.” SIS has said that the 14-second film is a deliberate attempt to flip the service’s white male James Bond façade. Although the image of a ruthless spy with a license to kill has done wonders for the SIS brand oversees, it does not reflect the reality of work inside the organization, nor does it encapsulate the diversity of the workforce that SIS wants to champion. The latest official figures from March 2016 indicate that the organization has a serious gender imbalance, with women making up 38 per cent of non-senior staff and occupying just 25 per cent of the senior posts. Perhaps even more concerning is that British, Black, Asian and minority ethnic (BAME) members comprise only 6.8 per cent of the workforce, of which none are senior staff. It is a serious problem that Younger knows must to be remedied if the service hopes to gain the ‘public legitimacy’ that it craves. But more importantly, Younger will know that by harnessing talent from the widest possible range of backgrounds, he will be overseeing a stronger and more effective service. A key component to the work of SIS is the ability of its officers to forge and develop relationships with sources. For this to happen, a source must establish a trusting personal relationship with a case officer, and ultimately have to be willing to break his or her institutions rules, often at their own personal risk. It is therefore less of a surprise that SIS has specifically earmarked mothers as a potential demographic for recruitment. Research suggests that when it comes to emotional intelligence—a famed attribute of an SIS intelligence officer—women outperform men in eleven out of twelve tested competencies. It is not an exaggeration to say that key sources of intelligence—that have likely produced reports over numerous years—would have become so because of a strong affinity for their early intelligence interlocutors. Theoretically, this process could be rendered easier if SIS was to become more ethnically diverse. For instance, a human source in Pakistan may well feel more comfortable interacting with an SIS officer who had strong ties to the region—be it religiously, culturally, or through extended family. This is undoubtedly one of the reasons that SIS is looking to relax its restrictions on nationality and heritage. It would also present SIS with the opportunity to further develop local level—on the ground sources of intelligence—as opposed to the sort of diplomatic human intelligence (HUMINT) that the service has been historically famous for. Research suggests that the type of intelligence most useful in disrupting terrorist networks is often low-level, factual, and fragmented. It will be information such as this which will perhaps prove most useful to SIS in years to come. Yet, intelligence is only useful if analysed correctly, which is why Younger is inviting candidates who will look to challenge the institutional ‘group think’ approach. 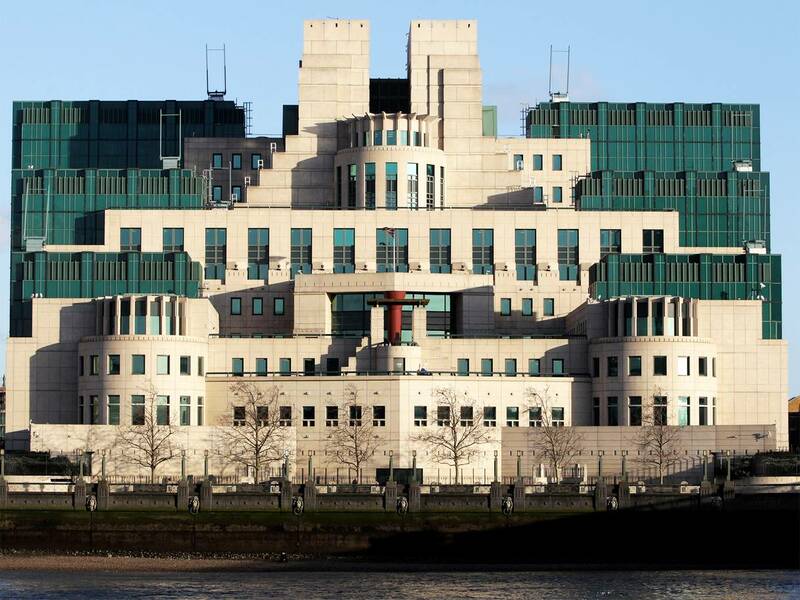 It is a problem that has been haunting British intelligence services for the last decade. The common concern in the Iraq War inquiries was that ‘not so much one of intelligence analysis as of the inability of the UK’s analytical community to put themselves into the minds of those whose behaviour they were analysing.’ These analytical failings can be summarized as confirmation bias—the use of evidence that supports an existing hypothesis and mirroring it—assuming that the target organization has the same influences and thorough processes as one’s own. The heuristics are well-known in the field of psychology and have been thoroughly explored in the literature on cognitive biases and analytical failings. Biases have been a consistent problem for Britain’s intelligence community, as pointed out in Percy Cradock’s examination of the Joint Intelligence Committee (JIC) performance between the Second World War and 1968. Younger will hope that his increasingly diverse workforce, ‘who challenge the status-quo,’—together with his more classically trained intelligence officers—will help prevent such an intelligence failure from happening again. Whilst Younger’s efforts to diversify are commendable, only time will tell if SIS can soon become the service that reflects contemporary Britain. In many ways the service is a victim of a broader societal trend. Like any organization—especially one that works on issues of national security—SIS should be expected to compete for the brightest and most talented graduates, who more often than not come from the UK’s top universities. It is only once said universities truly become diverse that SIS will be able to follow suit. But recent history suggests that public exposure has a positive influence. In March, the service received a spike in applications after the poisoning of former informant Sergei Skripal and his daughter Yulia. Such increases in interest are normally reserved for when espionage makes the headlines, and one wonders—on the back of Daniel Craig’s final outing as James Bond—whether a BAME Bond could ironically provide the catalyst for a service that reflects today’s society. Oliver is a former MA candidate at the Department of War Studies, King’s College London, He graduated with Distinction in January 2018. He is currently based in New Delhi, India. You can find him on twitter @OliverJDavey and on LinkedIn: www.linkedin.com/oliverdavey. See https://www.youtube.com/watch?v=IOViUQwOgdU (Retrieved 2 June 2018). Newspaper adverts have become more common over the past 2­­­­­­­­­­­­­­–3 years, whilst a bold new cinema campaign was launched last year; ‘MI6 to boost recruitment prospects with launch of first website’, Brand Republic, 13 October 2005, https://www.campaignlive.co.uk/article/mi6-boost-recruitment-prospects-launch-first-website/521906?src_site=brandrepublic (Retrieved 28 May 2018). ‘Intelligence Service Act 1994’ Government of the United Kingdom, No. 2734, 14 October 1994. ‘Strategic Survey’, International Institute of Strategic Studies (IISS), London: IISS, 2008, p. 56. House of Commons, Intelligence and Security Committee Annual Report 2015–6, 5 July 2016, p. 12. ‘Women Outperform Men in 11 of 12 Key Emotional Intelligence Competencies’, Emotional and Social Competency Inventory, Los Angeles: Korn Ferry, 7 March 2016. S.D. Gibson, ‘Future roles of the UK intelligence system’, Review of International Studies, vol. 35, no. 4, (October 2009) pp. 917–28. ‘MI6 seeks to recruit more women and ethnic minorities in first ever TV ad’, The Independent, 24 May 2018, https://www.independent.co.uk/news/uk/home-news/m16-recruitment-women-ethnic-minorities-service-a8366896.html (Retrieved 28 May 2018). The management implications of handling garmented intelligence are discussed in P. Wilson, ‘Preparing to Meet New Challenges’ in S. Tsang, ed., Intelligence and Human Rights in the Era of Global Terrorism, Stanford: Stanford University Press, 2008, pp. 111–20. See R. Heuer, The Psychology of Intelligence Analysis, Washington: US Government Printing Office, 1999. P. Cradock, Know Your Enemy: How the Joint Intelligence Committee Saw the World, London: John Murray, 2002. ‘MI6 looks to recruit more women and ethnic minorities’, The Independent, 2018. ‘MI6 advert seeks to ditch “mythical” James Bond Image’, 24 May 2018, https://www.theguardian.com/uk-news/2018/may/24/mi6-recruitment-advert-james-bond-image-shark-aquarium (Retrieved 28 May 2018).